Well, you’re going to love this. I have been using the “Bills by Topic” page to track firearm bills for GOAL Post. I just learned that page runs about a week late. So much for automation. A quick search of introductions, cross-referencing by RCW, reveals at least a dozen more firearm related bills or bills that touch on RCW 9.41. I’ll be working the weekend to update this. What appears below is correct… as far as it goes. Several months ago the GOAL Post e-mail list ws hacked. Since then, I have received a couple of solicitations citing a voucher and asking for money. Other people on the list have informed me that they have received similar messages. IGNORE THEM. It’s a scam Do not open the “voucher” attached to the message. Six new gun bills filed this week, again all in the House. HB 1439 by Rep. Beth Doglio (D-22) prohibits a person from carrying a licensed concealed firearm into another’s residence without EXPRESS PERMISSION of the homeowner. 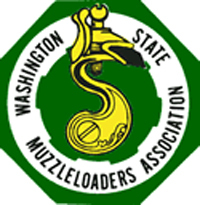 HB 1464, by Rep. Roger Goodman (D-45), makes the Washington State Patrol the background check agent for initial issue of concealed pistol licenses. HB 1465, also by Goodman, removes the waiting period waiver for CPL holders when picking up a handgun. 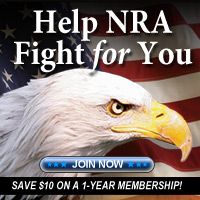 Clearly, a CPL holder already been subjected to a more comprehensive background check than a non-CPL-holding purchaser. HB 1649, by Rep. Robert Sutherland (R-39), exempts CPL holders from background checks upon firearm transfer. HB 1739, by Rep. Javier Valdez (D-46), again addresses undetectable/untraceable firearms. HB 1786, by Rep. Laurie Jinkins (D-27) is a rewrite of the procedures to be used in seizing firearms from those subject to a protective order. Again, each of these in and of itself doesn’t sound that extreme. But it DOES act to impose another hurdle to exercise of what should be a near absolute right, and discourage gun ownership and/or carry. Public hearings were conducted on six gun bills, HBs 1315, 1319 and 1346, and on SBs 5150, 5181 and 5205. I was not able to monitor the hearings, but all are available on TVWashington in their archive section. Many hearings are aired live, especially when they cover controversial topics. All hearings are typically available in archives a few hours after the end of the hearing. You can search for specific committee hearings (i.e. Senate Law & Justice Committee, House Civil Rights and Judiciary Committee, etc) at https://www.tvw.org/archives/ and type in the committee name in the “search” box. A few bills passed out of their policy committee and sit in their respective Rules committee awaiting a floor vote. HBs 1068 (magazine ban) and 1225 (firearms/domestic violence) are in House Rules. SB 5202 is in Senate Rules. SB 5181 was sent to Senate Ways & Means for fiscal action. A public hearing is scheduled next week on HB 1381 (use of UAVs to deliver contraband) in the House Public Safety Committee at 1:30 p.m. on Tuesday, 5 February. A hearing will be held on 8 February, in House Civil Rights & Judiciary, on HB 1786 (seizure of firearms). They’re getting bolder. 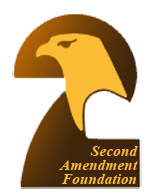 In line 5 of RCW 9.41.070 (CPL law), current law clearly states – and has for several decades – “the applicant’s constitutional right to bear arms shall not be denied, unless…” Concealed carry with a CPL was clearly tied to Article 1, Section 24 of the state constitution. The language of HB 1315 eliminates that phrase. So apparently Rep. John Lovick and the bill’s other 11 co-sponsors don’t believe concealed carry is a constitutional right. What other parts of the constitution do they find inconvenient? You know, the constitution they swore an oath to uphold. A public hearing will be held on HB 1315 on Tuesday, 5 February. It appears a little grassroots revolution may be brewing in some Washington counties. 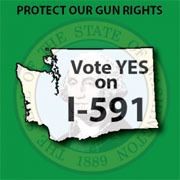 Six or more Washington county councils and/or county sheriffs have gone on record saying they believe portions of I-1639 are clearly unconstitutional or unenforceable and will not be enforced within their jurisdictions. I’m not going to name the counties, suffice it to say they’re not in or around Puget Sound, but they are on BOTH sides of the Cascades. These were all public statements to the best of my knowledge so a good Google search should reveal all. Several law enforcement groups came out last fall in opposition to I-1639, but their objections apparent fell on deaf ears.